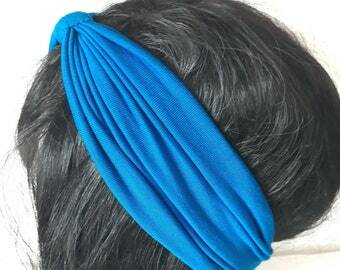 Blue Jersey chemo hat. Blue scarf with white polka dots. unique piece.